Location: From Conover, continue west on County Hwy K approximately 2 miles to County Hwy S. Turn north about 1.5 miles and watch for the Heart Lake Trail signs on the east side of the road. The trails of the Vilas County Forest Hunter/Hiking Trail System are maintained on a three-year rotation. Heart Lake Trail lies north of the Heart Lake Road. The terrain is level to rolling. Timber types in this area are predominately aspen, jack pine and red pine. 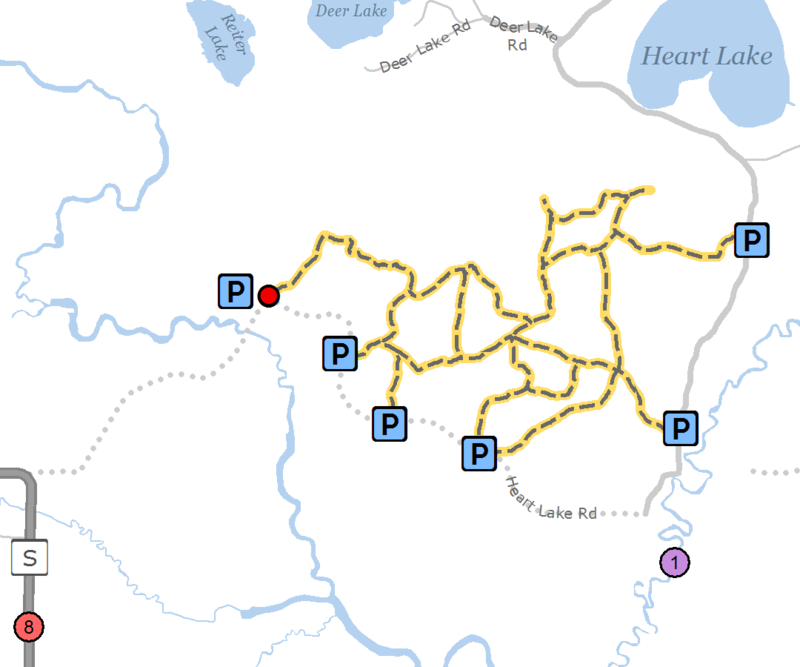 Heart Lake Road is part of the Vilas County Snowmobile Trail System and is not accessible by vehicles during the winter season.